An important part of generator protection is that generators need to be grounded. And because they need to be grounded, generators are susceptible to ground faults. This article is going to talk about general case ground faults on a generator and the appropriate use of generator protection, and then talk about the specific case of a ground fault on the generator field coils. Your generators need to be grounded for both the safety and reliability of your facility. One of the most important things to note when protecting against ground faults is that the higher the magnitude of the grounding impedance, the smaller the magnitude of your fault current will be. This makes it difficult to detect weaker faults with high resistance grounding. For example, a differential relay might not pick up a single phase to ground fault because the current magnitude change is not enough to cause the relay to trip. With high resistance grounding, you need a relay on the grounded neutral to catch ground faults that are single phase to ground, since the relay on the neutral doesn’t care about load current. However, when the magnitude of your ground resistance is high enough, it becomes difficult to differentiate between low magnitude fault currents and harmonics. An important thing to remember is that all of the relays in your generator protection system need to be coordinated in order to function properly. The last thing you want is for a ground fault detected on a relatively unimportant piece of equipment, like a table saw plugged into the wall, to kill the power to your whole building! You can learn more about coordination here. The following image is an example of a unit-type grounding system. A typical unit type grounding system. This is a fairly common grounding configuration for generators. There is a high resistance ground at the generator, connected to the system through a distribution transformer. The resistor and the relay are grounded in parallel on the grounding transformer. Now that we’ve talked about generator protection for ground faults in a general case, I’m going to talk specifically about generator protection in the case of field grounds. A field ground is exactly what it sounds like: a ground on the field of your generator. A single phase to ground fault on the field of a synchronous machine should in most cases produce no immediate damaging effect. Don’t let this fool you though: the field ground fault still needs to be cut off. A single phase to ground fault on a field is dangerous because a second ground fault could short part of the field winding, causing damaging vibrations. A field ground fault must be detected and removed quickly and efficiently. The following is a circuit that could be used for field ground generator protection. A possible field ground protection circuit. In this circuit, the relay uses a voltage divider consisting of two linear resistors and one non-linear resistor. The resistance value of the non-linear resistor varies with applied voltage. When the field becomes grounded, voltage develops at the point between the two resistors and the ground. The magnitude of this voltage depends on the exciter voltage of the generator, and the location of the ground. The maximum voltage value is obtained if the field is grounded at either end of the winding. There will be a point on the field winding where a ground fault will produce no voltage between the middle point and ground. This “null point” is the point on the field winding where there is an electrical balance between the two field winding resistances and the two relay resistances. The non-linear resistor varies the location of this null point so that a ground can be detected at any point in the field winding. Finally, you have a pushbutton connected across a portion of the R2 resistor. This permits a manual check for possible ground faults at the center of the winding. This is so that if the generator is base loaded and will not experience periodic excitation variations, you can still check for ground faults. Hopefully now you have a better understanding of how to use grounding and relays to provide generator protection against ground faults. If you have any more questions, feel free to shoot me an e-mail at cole@jmkengineering.com. You can also sign up for the Sparky Resource newsletter below, which goes out every Sunday. It’s got all kinds of cool stuff in it, possibly including answers to questions you might have after reading this article! A fault could interrupt service and must be detected immediately. Your generator protection must have a way to detect generator faults. A fault is any unwanted current flow in an electrical system. Faults can cause all kinds of problems for your generators, including current loss, interruption of power delivery, and damage to the generator due to overheating. There are three things your generator protection needs to do when your system encounters a fault. First, the protection system has to detect generator faults. Next, the circuit in which the fault occurs has to be tripped. Finally, the specific physical location of the fault has to be found so that the fault can be repaired. One of the best ways to pick up multiphase faults on any machine, generators included, is by using differential protection. This is a fairly simple implementation of protective relaying. A simple circuit that can be used to detect faults on any protected equipment. Two current transformers (CTs), one on either side of the protected equipment. We’ll call these A and B. A relay between the two CTs. Here’s how this circuit can detect generator faults: the logic is that the current going into the generator should be the same as the current coming from the generator. The relay is tripped if the difference between the current passing through A and B grows too large. You want to make sure that you use a percentage differential relay here to mitigate error that could be caused by non-identical CT properties. In an ideal world you would have ideal CTs, and they would have the exact same properties. Real world manufacturing processes try to get as close to this as possible, but your CTs will always have some kind of tiny differences. So instead of the relay tripping when the difference is a hard value, it trips when the difference is a percentage away on either side of where the current value should be. The problem now is that you know the general area of where the fault is, but do not have an exact location. So you know how to detect generator faults, and based on where the relay tripped, you have a rough idea of the location of the fault. What you need to know now is the exact location of the fault so that the fault can be repaired. But how do you go about finding a fault? As usual, before starting work, make sure that the section of the system you are going to be working on is de-energize. It’s time to troubleshoot! The first thing that you can do is look for any visible signs of damage. Any kind of blackness as though something burned is a good indicator of a fault location (or at the very least something that needs repairs). If the fault occurred very recently you’ll probably be able to smell it too. The next thing you can do is test the circuit with your trusty multimeter. Start at one end and work your way through the circuit. If you can, get your hands on the circuit diagram and find out what the multimeter is supposed to read if the circuit is operating properly. If you can’t get at the circuit for one reason or another, you can try a time-domain reflectometer. These send a pulse down the wire and pick up changes in impedance, which reflects the signal back to the device. This will tell you how far down the line your fault is. So that wraps it up! Hopefully now you know a little bit more about how to detect generator faults and how to locate a fault once it’s been detected. If you have any more questions, feel free to shoot me an e-mail at cole@jmkengineering.com. You can also sign up for the Sparky Resource newsletter below, which goes out every Sunday. It’s got all kinds of cool stuff in it, possibly including answers to questions you might have after reading this article! Industrial power systems can become very complex, and the related processes need a reliable source of electricity to keep the process running, both for economic and safety reasons. There are many different kinds of distribution systems. This article will only focus on one of them: the Main-Tie-Main system configuration. Main-Tie-Main, also formally referred to as a “secondary selective system” consists of two independent circuits connected together at the load buses by a tie breaker. See the figure below for details. The biggest advantage that a for an industrial power system that a main-tie-main configuration has over other system configurations is reliability. Usually, the tie breaker is normally open and the system acts as two independent circuits supplied by two independent sources. For example, we will assume that there is a fault on Source 2. This fault trips CB2, cutting off all power to Load 2. Immediately after power is removed from Load 2, the Tie Breaker closes. Source 1 is now providing power to both Load 1 and Load 2, and the system is able to perform its normal functions until the fault at Source 2 is repaired. When normal power is restored and CB2 is closed, the Tie breaker opens and the system resumes normal operation. Operation is only interrupted for a very brief moment, if it is interrupted at all! The Main-Tie-Main configuration is also good for maintenance for this very same reason: you can open CB2 and perform repairs upstream from Load 2 de-energized, while still supplying Load 2 with power. One characteristic of the industrial power system main-tie-main configuration is that both transformers must be sized to appropriately handle the load of both buses. In our example, we will assume that both Load 1 and Load 2 are the same size. Transformer 1 and Transformer 2 must each be sized so that in normal operation they are only loaded to 50%. This way when the tie breaker closes, the transformer that is now supplying both loads doesn’t become overloaded and blow up in your face. The downside to main-tie-main is that the added reliability inherently costs more due to the system requiring larger transformers than a system that would not tie both circuits together. 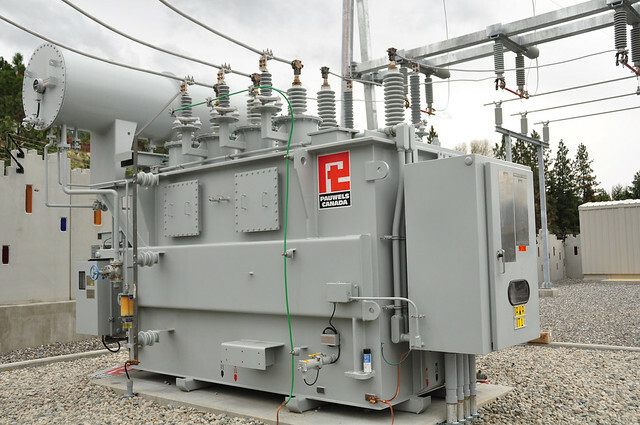 Unfortunately, reliability costs money, and you’ll need to oversize your transformers to add reliability to your system in a main-tie-main configuration. You can also reduce strain on each individual transformer when it is supplying both loads by adding external cooling to the transformers (like a fan cooling system). You can also simply accept that the transformers will have a reduced life in the event of a fault on a transformer or source. You will not have just two loads in every case. In systems with multiple loads supplied by a single transformer, transformer size (and therefore cost) can be reduced by designing the system so that only essential operational loads (such as emergency lighting) are supplied power when the tie breaker closes. For industrial power systems, a main-tie-main configuration is an extremely reliable power system distribution model, able to maintain power during a fault with little to no interruption. Unfortunately, this added reliability has a cost, whether in the form of larger transformers, extra cooling systems, or shorter transformer lifespans. These factors should all be considered when designing an industrial power system with main-tie-main in mind. As always, thanks for reading! If you like this post but want some actionable advice, tips and information, check out our newsletter. You can sign up here or below. By signing up you get a free report on what an Electrical Safety Program is, and how to go about building one at your facility. What is grounding in an electrical sense? Anyone with a little bit of a background in electronics will tell you that grounding is something you need to keep your circuit safe and it keeps the electrical parts of your circuit from blowing up. But what is it, exactly? We see the symbol for grounding all the time, but what does it actually mean? Grounding is a connection between an electrical circuit and an arbitrary reference point. Grounding is a method of protecting your electrical system and the people using it from harm by setting a known “reference” point for voltage. When you hear someone mention ground, you should ask them to clarify: is it the reference voltage, or is it earth itself? Or is that both? In order to explain grounding, we need to know a little bit about voltage and current. Before you continue, read our article “What is electricity?” It has a bunch of the background knowledge that I’m going to assume you know when I talk about grounding. 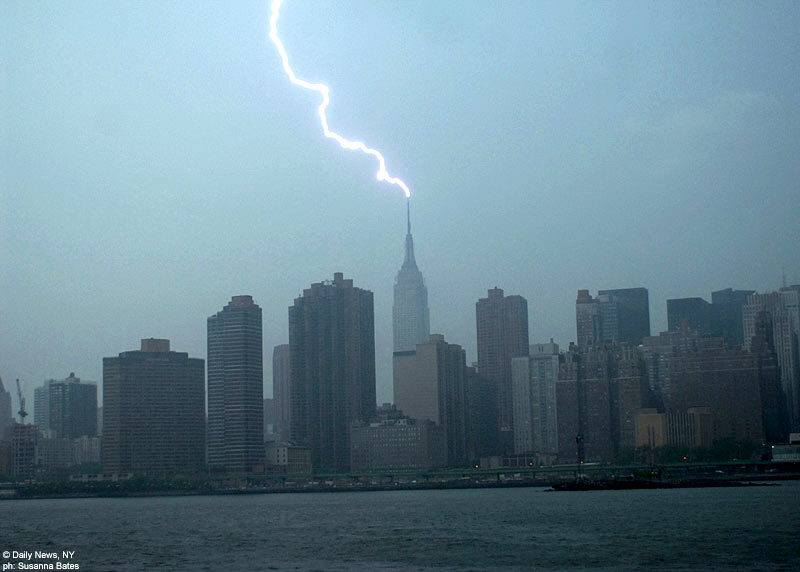 The earliest instance of grounding that I can think of is when Benjamin Franklin invented the lightning rod. A lightning rod is a metal rod attached to the top of the house, connected by a wire to another rod stuck in the ground. When lightning would strike, it would seek out the rod (since the rod has a lower resistance than the rest of the house) and electricity would flow into the ground. This prevented houses from burning down when struck by lightning, which can generally be considered a good thing. If a lightning rod can be seen as the first real instance of grounding, then we can look at grounding as one part of the overall electrical protection system for your circuit. So in order to keep things safe, you need to figure out a way to create a pathway for the electricity to travel that has less resistance than your body, fragile circuit components, and building materials. In the event that something goes wrong in your circuit for whatever reason, you need to direct the electric current along a very low resistance pathway. We’ve already talked about how to figure out what resistance is, but what kind of wire would have a low enough resistance to draw all the current? Why not use the ground itself? Think about it: use the planet earth as a conductor. Not only does the electricity not have very far to go to get in to the ground, but it also has a HUUUUUUUUUGE cross sectional area, meaning it has very, very little resistance. Electrons always want to go to the place of least resistance, which makes going into the ground their favourite place. The lightning rod used this concept to great effect, and modern day power companies do the exact same thing. This also doubles as a useful way to complete your circuit: by using the earth itself as your ground wire, you can be sure that every point in your circuit (which in this case is the entire power grid) is connected to the same reference point. This means that when we now talk about voltage (for example, the 120V wires in your house) we know that we’re talking about it with reference to the voltage of the ground itself. There are 120V between the wires in your house and the ground you’re standing on, there are 1000kV between the overhead power lines and the ground, etc. What this also means is that the current in your circuit now has a clear and easy return path to its source: the current can just flow into the ground near, for example, your house, and travel back through the ground to the generators in the power plant. But isn’t the system still unsafe? You might see the new problem with that: if electrons want to go in to the ground, how do we get them there safely? If you are standing on the ground and you touch a wire with electric current moving through it, won’t the current just go through you and into the ground, instead of going through the wire? Current flows through all available pathways at once. This means that even if the ground wire path is the least resistive path for current to flow through, you could still harm yourself by adding yourself to the circuit when you touch it (making a path from the wires through you to the earth). Initially, I said that grounding was to keep your circuit safe, and I wasn’t lying to you. The reason grounding keeps the circuit safe is that grounding makes up a part of your circuit’s protection system. Most circuits are designed so that when there is a fault to ground in the circuit, the majority of the current will flow through this fault, into the ground wire, and into the ground. Because we know where the current will flow, we can put protective devices along the ground path in such a way that as soon as the fault occurs, the protective devices (such as a fuse or a breaker) are tripped very abruptly. When this happens, the complete pathway for the circuit is broken, and current cannot flow. If current can’t flow, we have no voltage difference, and if we have no voltage difference, we have no real danger. This is the most common way that grounding protects circuits: it forces protective devices to turn the circuit off ASAP. In order for grounding to work in tandem with your protection system, you need to know how much current can be expected to flow through your ground wires in the event of a fault. You can figure out what amount of current to expect by performing a protection and coordination study. This will let you pick the appropriately sized fuses or breakers. Hopefully you’ve enjoyed reading this article, and now know a little bit more about grounding. To get more of this, but be able to reply, check out our newsletter. A weekly checkin with great information so you can learn more about power systems, electrical safety and opinion on the news of the day. The purpose of the short circuit study is to determine the fault current available at the various buses on your system. These are worst-case single and three phase bolted faults. With this information you can determine if your equipment is sized appropriately (or if you are designing a new system, you can size the equipment appropriately) and will not fail during a fault event. Why do I need a short circuit study? A short circuit study is used to determine the worst-case current scenario during a 3 phase and single phase bolted fault. This is critical design information when selecting equipment for a new design, and replacing existing equipment during upgrades. Two factors contributing to the fault current is the size – and impedance – of the transformer supplying the circuit, and the available fault current that can supplied by the utility, and on-site generation. A short circuit study is used to determine the worst-case magnitudes of these currents. These currents will be used as design inputs when purchasing new equipment, and verify that system changes haven’t affected the maximum design currents of the equipment. The equipment must be capable of withstanding the maximum short circuit available. When a short circuit occurs, these high currents create strong magnetic forces and if the equipment design hasn’t been tested, or braced adequately, for these forces there may be catastrophic failure causing additional damage. Under normal circumstances, panels, switchboards, etc are designed to contain the fault; but this is only to a specific current rating. When should I have a short circuit study completed? Do you know when you get a short circuit study done? The short circuit study will be completed, and updated during the design process, but should be reviewed periodically to ensure that there have been no changes that affect the system. I recommend that the short circuit study be reviewed at least every 5 years, this is based on the the requirement in CSAZ462 4.3.5.1(b) regarding arc flash risk assessments. A short circuit study is one of the inputs of this risk assessment. However, if there have been changes to the facility, it is important to update the design short circuit study with the updated information. If the changes include installation of a new utility transformer, new generation on site, or significant load modifications there is a danger that the available short circuit will increase. How do I get one done? Getting a short circuit study completed is very similar to any power system study as I talked about in a previous post, however there is much less data required to ensure that the output is worst-case values. It is typical to ignore cables during the first iteration of the short circuit study. This lowers the cable impedance throughout the system resulting in higher magnitude fault currents and is used to develop the worst-case scenarios. If these values don’t cause any serious design constraints or result in values that are higher than the installed equipment can withstand, this is where the short circuit study will stop. If the impedance isn’t marked, using typical values for the transformer design will get an answer that is close to the final answer. Having a current short circuit study at your facility, regardless of the size, is very important for the safe and reliable operation of the power system. If it is a small building, this will not be difficult, and can likely be completed by hand assuming infinite bus. If you have any questions, about how to have this completed please don’t hesitate to contact us. If you liked this article be sure to share with the buttons below and sign up for our newsletter where you will get these posts in your inbox and special offers. Be sure to follow us on Twitter and like our page on Facebook.